David and Mary Margaret take desperate measures to keep Maleficent from being resurrected Watch Once Upon a Time Season 4 Episode 14 Online right here at TV Fanatic. In the Enchanted Forest, Snow White and Prince Charming were asked by Ursula, Cruella de Vil and Maleficent to help them stop Regina from casting her dark curse. At first they go along with the plan until Maleficent takes things too far by killing some guards who stand in her way. Later, Maleficent realizes that Snow is pregnant. She tries to bond with her by revealing that she is also with child and asks that they work together to stop the Evil Queen. Snow White turns her down, saying she won't risk what working with darkness might do to her unborn child. Back in Storybrooke, David and Mary Margaret are lying and sneaking around as they try to stop Cruella and Ursula from resurrecting Maleficent but they end up falling into a trap where they help bring the villain back to life. Maleficent warns them that she will do everything in her power to bring them as much pain as possible. Mary Margaret continues to lie to Emma but eventually confides in Regina that she is responsible for Maleficent losing her child. 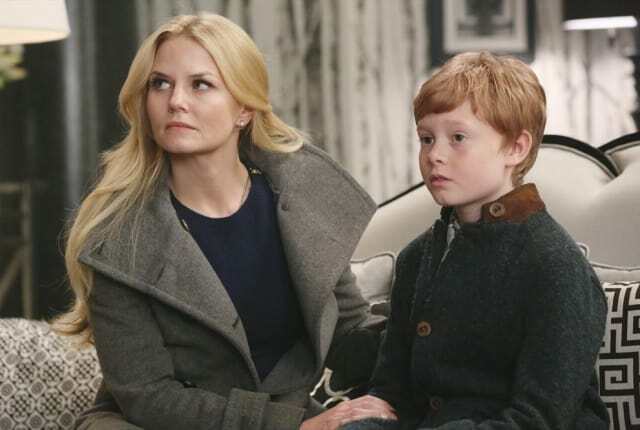 Watch Once Upon a Time Season 4 Episode 14 Online any time right here at TV Fanatic. On Once Upon a Time Season 4 Episode 14, Mary Margaret and David's past with the evil trio has them desperate to keep Maleficent from being resurrected.